I don’t have much in the way of photos this week, but I did get out to St. Sebastian River Preserve State Park [map] with Camille this weekend. 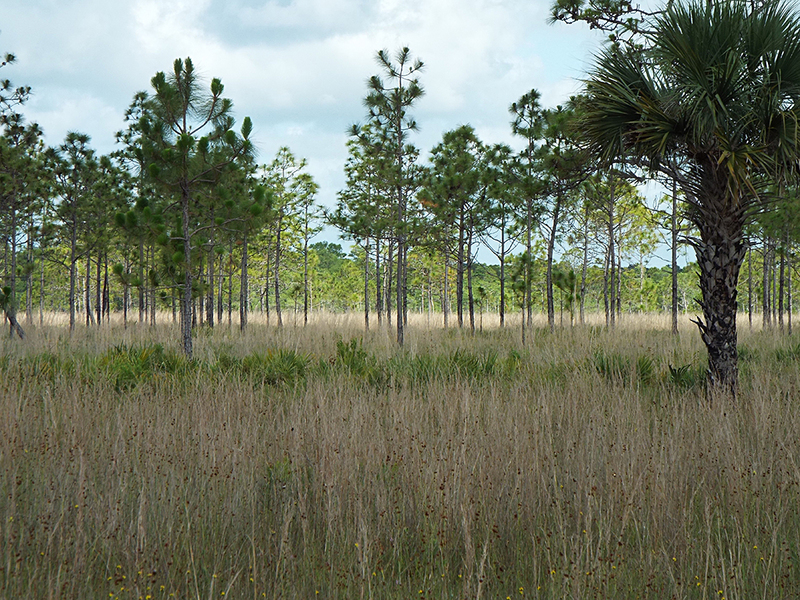 Pine flatwoods with lots of Wire Grass. It was hot and humid, ahead of a tropical system over the Gulf of Mexico (you probably know it as Post-Tropical Storm Colin by now), but the weather generally held until early afternoon. The main draw for this park was the Red-cockaded Woodpeckers and Bachman’s Sparrows. While the former weren’t very accommodating, the Bachmans’ Sparrows were conspicuous, if a bit far away in most instances. There were about a baker’s dozen of them along the southern part of the Yellow Trail and Red-cockaded Woodpecker Link. Quite a few Brown-headed Nuthatches came by throughout the morning, too. Most of the usual upland/pine flatwoods species were there, including Eastern Bluebirds, Northern Bobwhites, mockingbirds, cardinals, and Pine Warblers (including fledglings). The park has been doing prescribed burns since last year, and huge sections seem to really be benefiting. One problem many parks have, even after prescribed burns, is the overabundance of palmetto scrub. 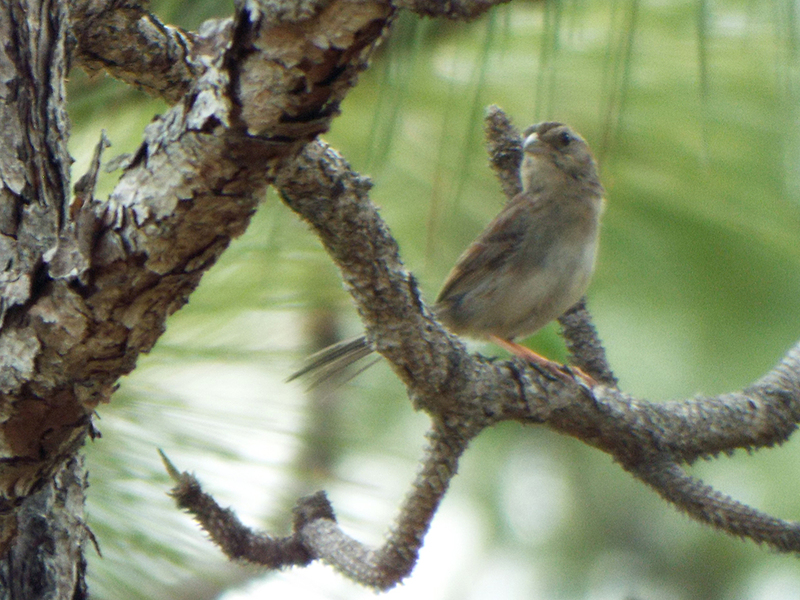 Many species, including the Bachman’s Sparrows, prefer expanses of Wire Grass and other herbaceous cover that the Palmetto crowds out. You can tell from the opening photo, above, that the grasses seem to be doing well in the burned areas, and the prevalence of the sparrows seems to support that notion. Here are the complete eBird lists. With the advent (and as of now, passage) of a tropical system, and the afternoon thunderstorm machine underway, it’s definitely transitioned to a summer pattern here in central Florida. Previous Previous post: Where Am I in the Pecking Order?